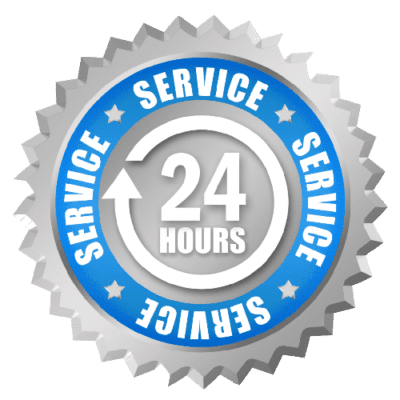 When you have a water damage emergency in the middle of the night, or at any hour, you want a company you can count on to arrive quickly and provide high quality emergency water damage repair services. Carolina Water Damage Restoration provides services 24 hours a day, 7 days a week, for all of your emergency water damage repair or clean up needs in Durham, NC. Call us anytime! Destructive thunderstorms and even hurricanes can happen throughout the year in Durham, NC. When these storms hit, they can be a source of water damage to your home or business. If you have storm damage, Carolina Water Damage Restoration can provide storm damage restoration & storm damage repair 24/7 – 365 days a year. Call us today for a free storm damage repair consultation in Durham NC. Home inspections, such as checking for mold or water damage, may be required when selling a home. These inspections are also important when buying a home as well. If your inspection turns up mold damage in your crawlspace, attic, ceiling or anywhere else in your home, Carolina Water Damage Restoration can identify & repair these issues prior to, or after, your home inspection. In Durham, North Carolina, the majority of damage from storms comes not from wind, but from water damage. Emergency water damage needs arise after storms create flooding, water heaters leak, and other such factors beyond our control occur. Our team at Carolina Water Damage Restoration is proud to serve the Durham area. We are available 24 hours a day, 7 days a week, to respond to your water damage needs and more. 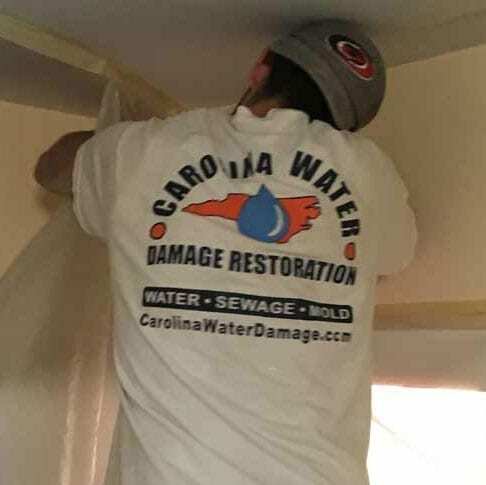 Carolina Water Damage Restoration specializes in water damage restoration services and all the services that are involved with restoring your home to like new condition after water damage strikes. As a premium provider of services like sewage backup cleanup, basement flood repair, storm damage repair, and toxic mold removal, we are always ready to take on any water damage emergency you may have in your home or business. 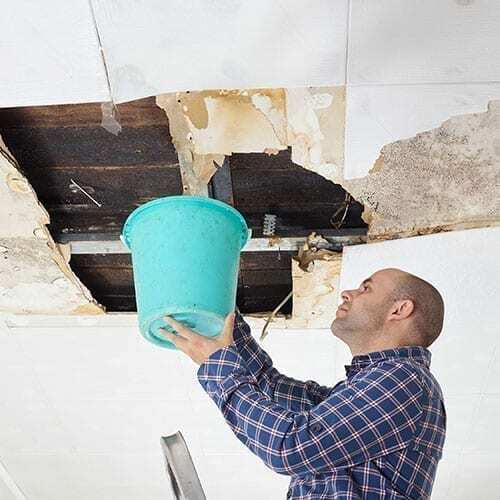 If you have already had the source of your water damage stopped, we can also perform just the tasks of restoring your home from that water damage. Our experts will evaluate your water damage repair or restoration issue, we will explain the issue and provide a high quality solution and we will work with your insurance company to make sure, if possible, the costs are covered by your home owners insurance. Mold can be frustrating, hard to locate, and even harder to remove. Other restoration companies offer removal services, however, at Carolina Water Damage we do mold removal and mold remediation. We are happy to come to your home and get rid of any visible mold first, then we also find the root source of the mold. At Carolina Water Damage we test the air and see what needs to be done to restore the air quality in your home or business. We provide HEPA filtration to make sure the air quality in your home remains perfect. Our goal is to make sure that once our work is finished, your property mold free and safe for everyone. 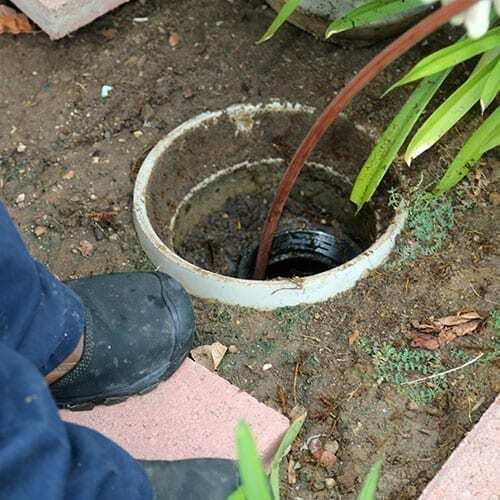 There are many potential causes for a sewage line backup to occur, the end result is always a nasty mess, a mess our expert team is prepared to deal with. At Carolina Water Damage Restoration we are always prepared, even for the most severe emergencies that come from sewage backups. We will come to your home or business in Durham NC, mitigate the water damage, find the root of the problem, fix it and restore the property. We make sure to sanitize all affected areas with our EPA regulated, hospital grade chemicals. Our goal is to repair what was damaged due to the water damage, and make sure to fully restore the damaged areas. 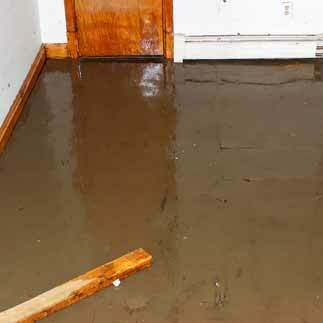 Carolina Water Damage is the place to call for all your sewage damage cleanup and repair needs in Durham. We want you to focus on the important things in life, we will handle the water damage. The ceiling leak and crawl space repair experts at Carolina Water Damage Restoration are IICRC certified and ready to help with all of you crawlspace & leaky ceiling repair projects. We will be able to find the source of the water damage, stop it and prevent further damage. Once complete we can also test for mold and make sure that there is no toxic mold in your home. If you live in Durham NC and need a crawlspace or ceiling leak restoration expert, call Carolina Water Damage Restoration today. If your home or business is affected by storm damage, or a basement flood that is causing severe water damage, then give us a call at Carolina Water Damage. Our team remains on call, and pride ourselves on year round service, 24 hours a day, 7 days a week. If your property becomes affected by storm damage or a basement flood we can respond quickly before any further damage occurs. 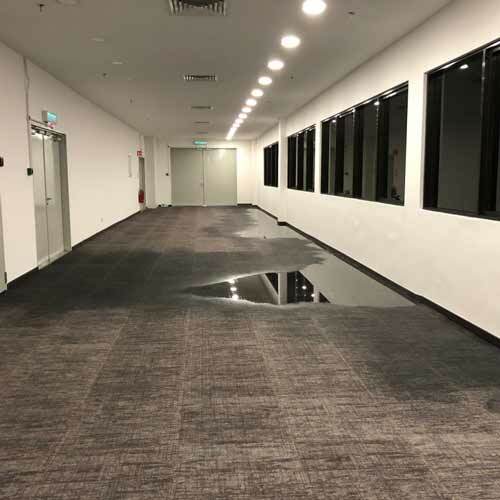 Commercial Water Damage takes shape in many different forms, such as flood damage, sewage backup, and storm damage. At Carolina Water Damage Restoration we understand that when your business or commercial property has been affected by water damage in Durham, it is imperative to have it fixed and restored as quickly as possible so your company can resume it’s normal operations. That’s why we are on call 24/7 so we can handle all of your Durham based Commercial Water Damage Restoration needs. 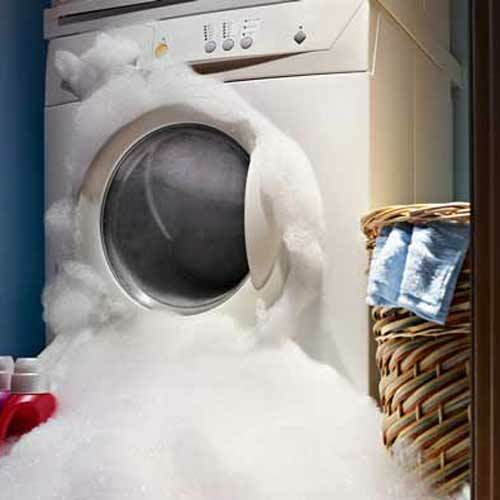 Homeowners in Durham know that appliances can leak and cause water damage to spaces near the broken appliance. Water heaters, refrigerators, washing machines, and dishwashers can all break suddenly or develop slow leaks that cause water damage to occur over time. At the first sign of water damage from an appliance, it’s important to contact a water damage restoration company like Carolina Water Damage Restoration. The sooner you contact us the quicker we can make sure the water damage doesn’t spread. Why Choose Carolina Water Damage Restoration If You Live In Durham NC? Durham NC residents understand that water damage can happen at any time. 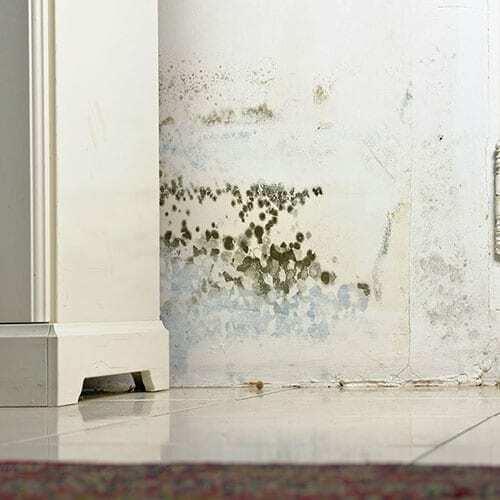 From flood damage caused by storms to sewage backup & toxic mold build up, it’s important to have a trusted & certified water damage restoration contractor that you can count on. Carolina Water Damage is IICRC certified and is open 24 hours a day, 365 days a year in case you suffer a water damage emergency. We are based in the Triangle and serve Raleigh, Apex, Cary, Chapel Hill, Clayton, Durham, Fuquay-Varina, Garner, Holly Springs, Knightdale, Lillington, Morrisville, Wake Forest, Wendell, Zebulon, & the surrounding areas of NC. We will work with your homeowner’s insurance to make sure that your water damage issues are taken care of and your home is restored to like new condition.